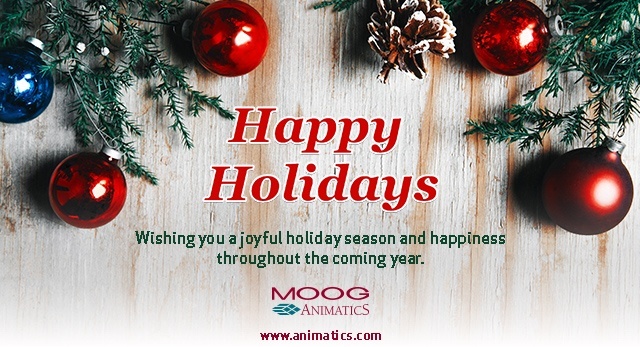 Moog Animatics will be closed for the holidays from December 25, 2017 - January 1, 2018. We will reopen on Tuesday, January 2, 2018. This is a reminder that Moog Animatics will be closed for the holidays from December 25, 2017 - January 1, 2018. We will reopen on Tuesday, January 2, 2018.